Yeast, whiskey, gin, vodka and vinegar. Must have smell great there. The first half of last week I wasn't feeling very motivated to get down in the basement. I was actually feeling a little overwhelmed with the range of tasks and the number of tasks that I have to do. By Thursday night, I decided that I'd go and do something just to get something done. I decided to turn my attention back to a bit of scenery work, since it is something that I really enjoy doing. The Hudson Highlands is a very dramatic and impressive stretch of the Hudson River Valley, where the river gets narrow and the mountains get tall (at least, by New York standards). 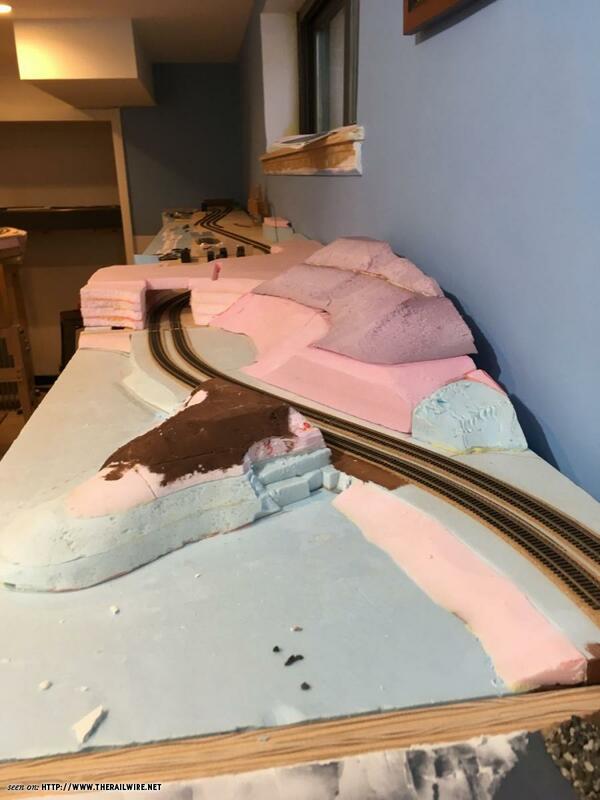 There wasn't a lot of room for a railroad in this area, so the right of way was blasted out of the hillsides that run right down to the river, resulting in plenty of rocky cuts and three short tunnels. 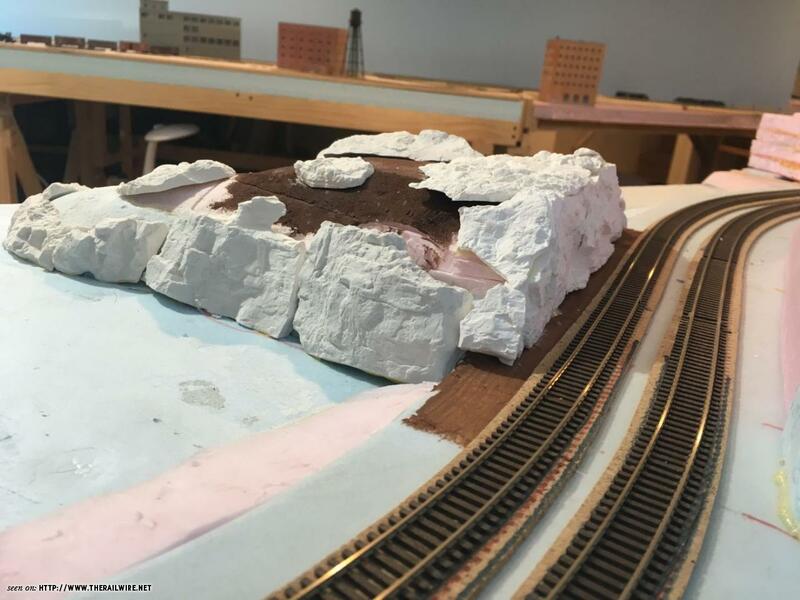 Other areas had rock fill added to create a roadbed. Prior to the installation of CTC, this part of the railroad was also an operational bottleneck, as the four track main "shrank" down to two tracks between the towns of Peekskill and Garrison, a distance of about 10 miles. Working north from Peekskill, the first tunnel encountered is called Flat Rock tunnel, and there is a cut through a hill just south of the tunnel. 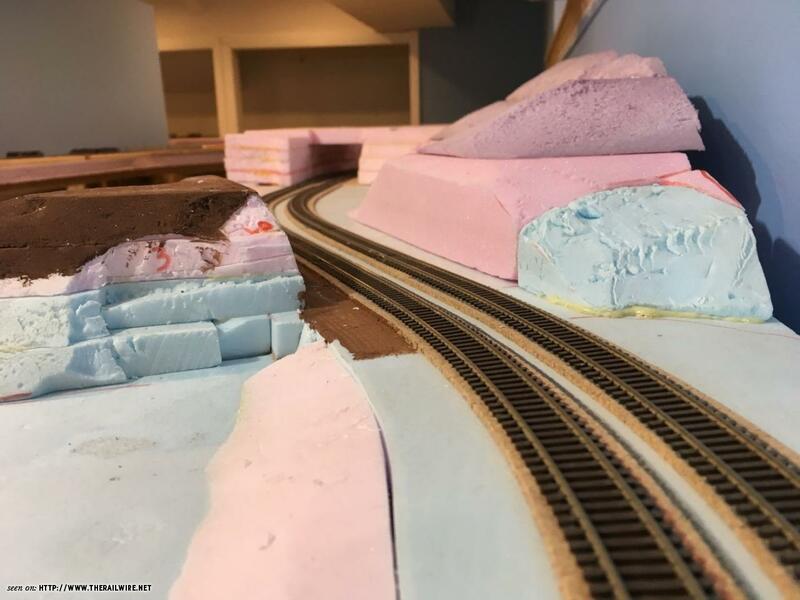 Makes for a very model railroad-y scene. 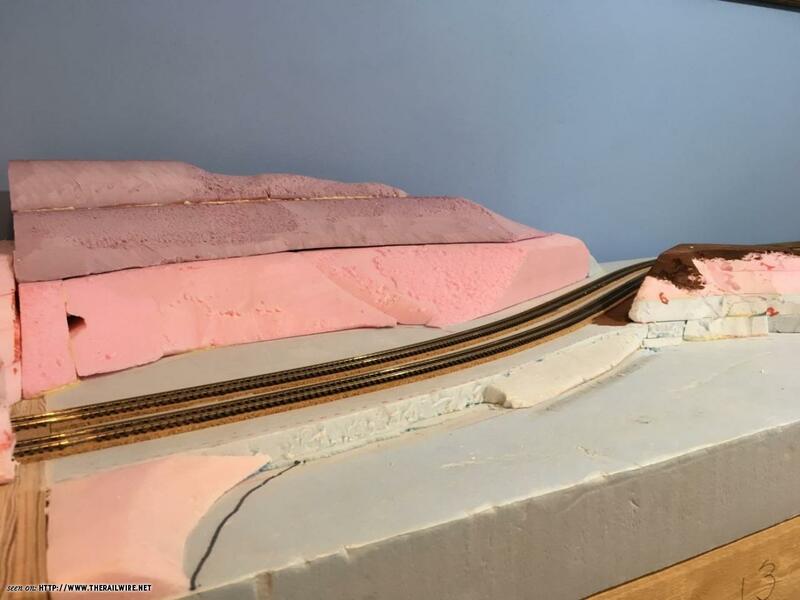 I created the basic land forms for the cut and the tunnel at least 7 years ago, but hadn't glued them down. 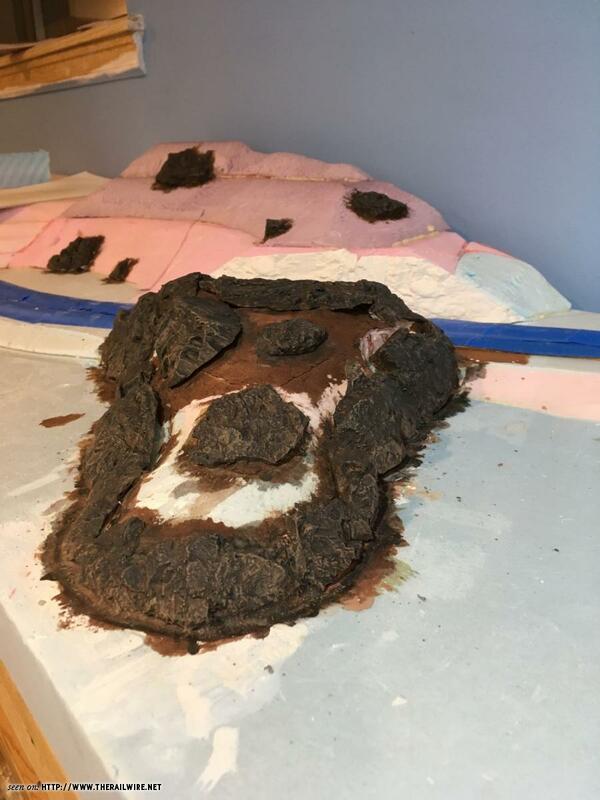 So I set about working on the cut last Thursday, fitting together the various plaster rock walls that I've cast. 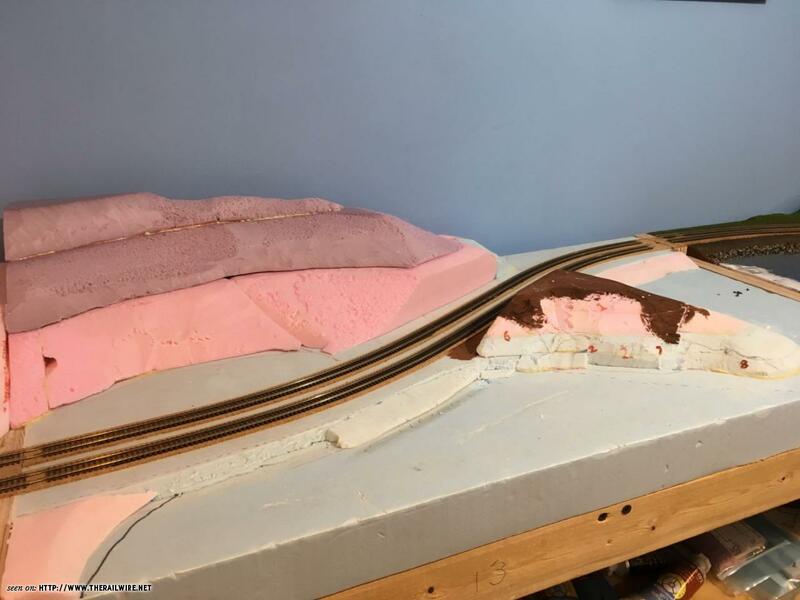 I glued the river-side hill in place over the weekend, and last night I worked on the hill on the east side of the tracks, adding another layer of foam to it to give it some more height to what I had originally created years ago. I then glued these foam bits down. 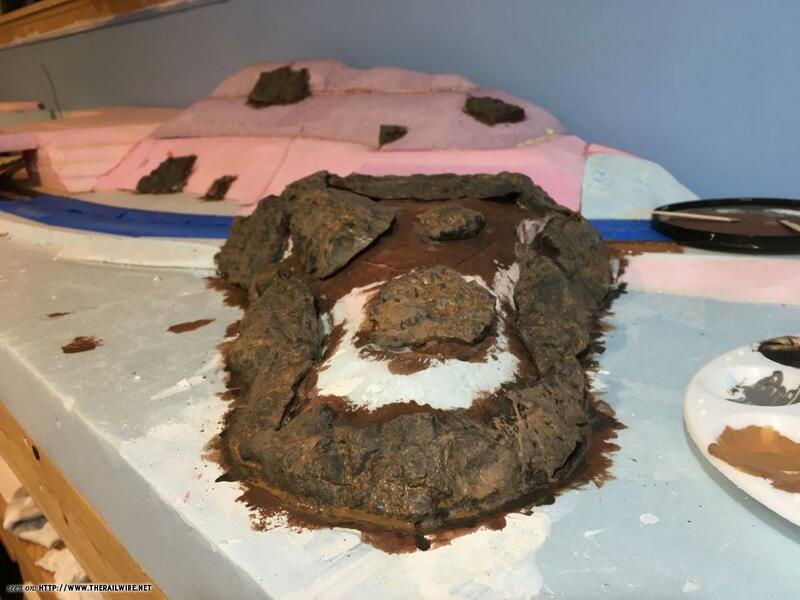 Next steps will be to start gluing the plaster rocks in place and applying the first layer of Sculptamold. After having looked at these loose bits of foam for so many years, it feels quite nice to be making the scene a bit more defined. I am really looking forward to this build. I am from Hopewell Jct and worked as a lifeguard at FDR in Yorktown. I spent lots of time hanging down on the river with friends including dragging a keg up to the top of the tunnel at Breakneck with the lifeguards and hanging out all night with the trains going under us. 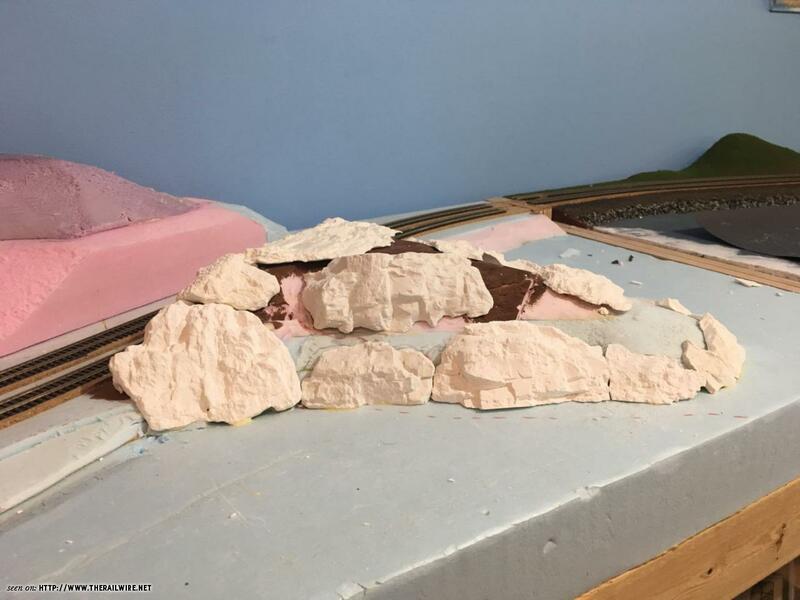 Additional progress has been made over the last couple of days in the form of gluing the plaster rocks onto the hill and the cut. 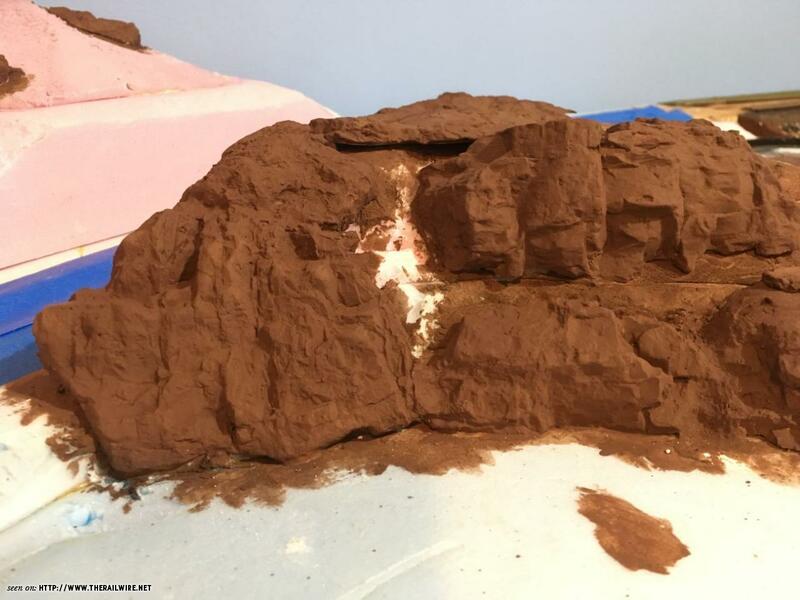 The larger spaces between rocks will get filled with Sculptamold to blend everything together, and I'll fill in the joints between adjacent rocks with more plaster. 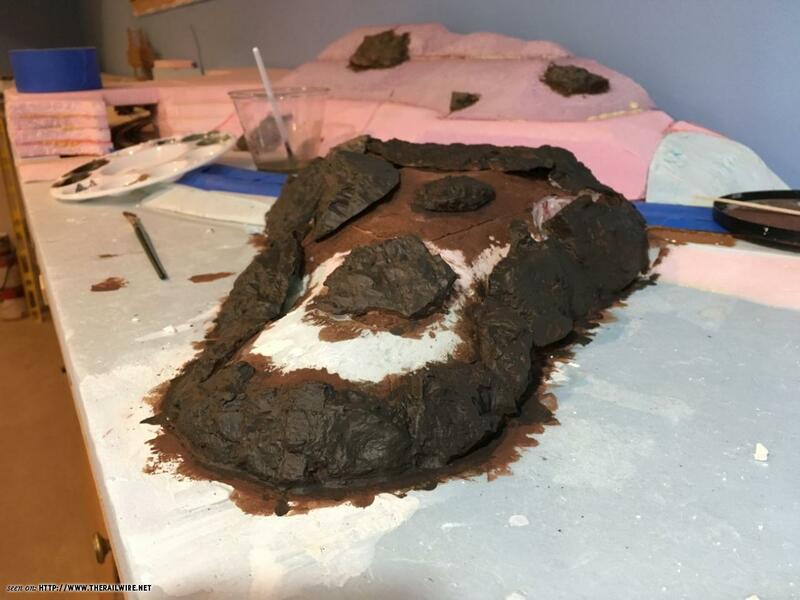 Lately I've been continuing work on my rock outcroppings, namely painting them. 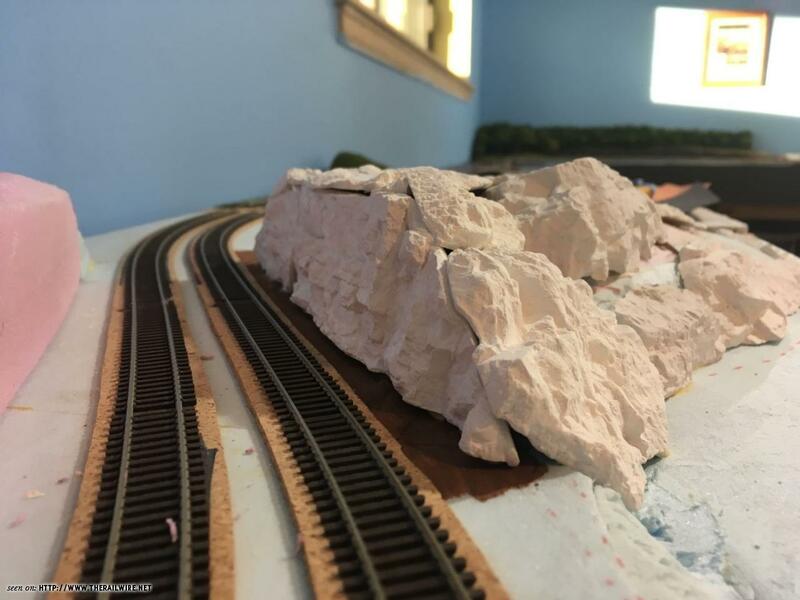 Thankfully, the last time I painted a rock wall, I took notes as to what colors I used and whether I applied a wash, a drybrush, or a full coat of paint. Capturing the correct coloring of the rocks in this particular part of New York is important to me, as there is so much rock it becomes an important scenic element. Here are some progress pictures (I didn't load pictures from every painting step, so some a skipped here). The last picture is where things currently stand, and I'm trying to decide if I'm satisfied with it or if I have more fussing to do. But in general, I'm pretty happy with where this is at, and my next step will be to fill in the areas between the rocks with Sculptamold. I also have a work session with my crew tomorrow, so some more backdrop painting and benchwork progress should be made.